﻿ Collision vs Comprehensive: What's the Difference Between Coverages? Collision vs. Comprehensive: What Coverage Do I Need? What’s the difference between collision and comprehensive coverage? These car insurance terms sound similar and what they cover isn’t intuitive based on the name alone. We’ll help you better understand these types of car insurance coverage, so you know exactly what you’ll need to properly protect yourself from some of the most common situations drivers experience. Collision coverage is designed to insure your vehicle against damage done to your car when a collision occurs. Depending on the details of your policy, a non-owned rental vehicle may also be covered. In the event your car overturns or collides with another object or another vehicle: this is where collision coverage comes in. Let’s walk through an example of how collision coverage works. You get into an accident by crashing into another car carrying a family. Two members of that family are injured, their car needs some repair work, and your car is damaged too. Which coverage protects you and the other party involved in this accident? The family’s injuries: This is covered by your insurance policy’s bodily injury liability coverage, up to your coverage’s limits. Any costs after your maximum limits are met will fall under your financial responsibility. The other car’s damage: The other car is covered by your property damage liability, up to your policy’s limits. In this case, you are also financially responsible for expenses after your coverage limits are met. Your car’s damage: After your collision deductible is met, your damages will be covered in full. If your car is considered totaled, your insurance company will pay the value of the vehicle minus the deductible. In short, liability coverage pays for the people hurt and the damage you do to others’ vehicles and property in accidents in which you are at fault. Collision coverage for your car helps you pay for costly repairs or bodywork in the event you are involved in an accident, and another driver is not at fault. Comprehensive generally covers ‘everything else’ that isn’t an accident. If a tree falls on your car, a rock slide demolishes your car, or a hail storm damages your windshield – you’re covered. It’s important to note that this coverage also covers theft. If your car goes missing, your comprehensive coverage should pay out if it isn’t recovered. This coverage is designed to protect you from the cost of repairs or replacement needed should your vehicle be damaged by any of these events. Damage resulting from fire, floods, and debris from severe storms are the kinds of damage typically covered under comprehensive car insurance. These are sometimes referred to by auto insurance providers as “Acts of God” in your policy contract and should also be covered. Let’s use another example. Let’s say a tornado sweeps through your neighborhood, lifts your car, and throws it through your neighbors living room. While no one is injured, your neighbor’s home is destroyed, and your vehicle is totaled. Which coverage protects you in this scenario? Your neighbor’s home: This is covered by your property damage liability, up to your policy limits. Any leftover expenses after your limits have been met are now your responsibility. Your car’s damage: Since a tornado would be considered an ‘Act of God’, all your damages will be reimbursed under your collision coverage. 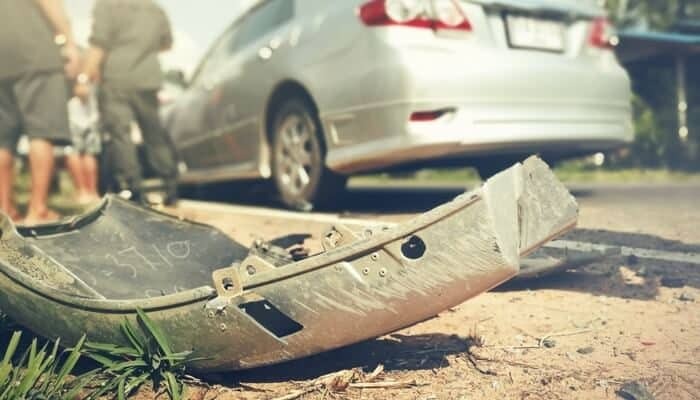 If your vehicle is totaled because of this incident, your payout will be the full value of your car, minus your comprehensive deductible amount. Hitting an animal can be a murky middle ground. Whether you hit a deer on your ride home from work; hit a moose while looking at the Tetons; or run into a Bison in Yellowstone, those things can sure cause some damage. An average male deer weighs around 100lbs and when you’re traveling at 45mph that is a surefire recipe for a hefty repair bill. You’d think that hitting an animal would be covered under your collision coverage, right? Wrong. This gets covered under your comprehensive coverage. If you swerve to prevent hitting the deer and instead hit another car or a tree, then it comes under your collision. Confusing, right? 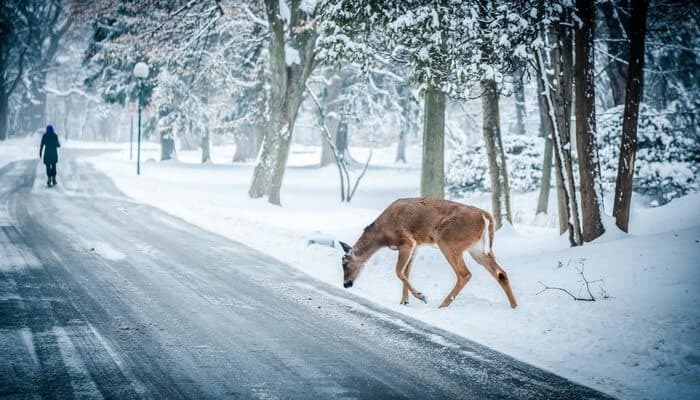 If you live in an area where deer frequently run in front of your car, you may want to make sure your deductible is lower to prevent racking up big bills after a season of claims. IIn short, no, you are not required by law to carry comprehensive insurance or collision insurance. However, if you have purchased a new car with a car loan or are leasing one, your lien holder may require that you carry these coverages as part of the terms of your agreement with them. Additionally, both forms of insurance help you to pay for damage to your vehicle if something happens to it. Auto repairs can be expensive, ranging from hundreds to thousands of dollars. Review your current car insurance policy to determine if your current coverage levels are high enough to cover future accidents or contact your agent to learn more. Do These Coverages Affect Your Car Insurance Premium? The types of coverages and the limits you set for each type of coverage affect how much you pay in car insurance premiums each month. Lowering the limits of your coverage, raising the deductibles, or removing coverage altogether can result in a lower car insurance payment. Raising your limits, lowering your deductible, or adding a coverage will increase your car insurance premium. The best way to see what works for you and your budget is to get quotes from multiple insurance companies. At Compare.com, we do just that. You can compare rates and packages for free, side by side, then choose the policy that’s right for you. Weigh out the risks and decide whether cheaper car insurance or better coverage is more of a fit for your lifestyle. Save time and money by comparing quotes today!